Oh no, we got hooked on Ink Masters – the show (SPIKE) where 12 Master Tattoo Artists compete for $100,000 to become INK MASTER. That isn’t such a bad thing because it inspired me to draw up my own ink designs. 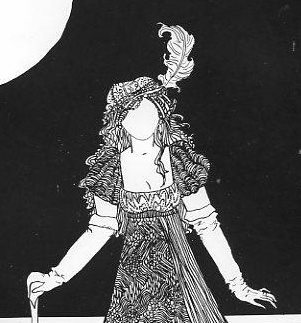 I used to draw – a lot. I still do some illustrations professionally, but not a lot of personal work. This pushed me to sit down with paper, a sort of dull pencil, an eraser and a Sharpie pen and have a half hour of creative fun last night. Hey, if you’re a mom, any alone time creative fun is a good thing. It is a very very very good thing. 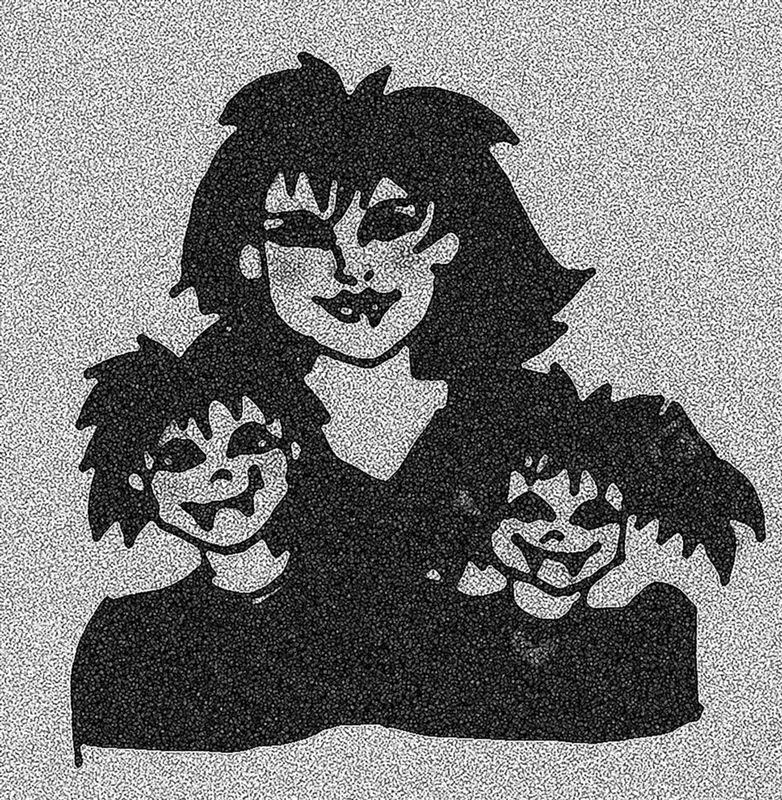 So here is my first go at a Vampire Maman Tattoo design. I’m still working on the hand. The script is rough. The little girl has an ugly face. And NO don’t mistake this with any characters from Twilight (gag). I drew those faces and erased each about 10 times. But over all I like it. I’ll be doing more. It was really fun. Maybe even show some in color if I have time. But right now I’m happy amusing myself and my husband and kids with paper and pen. Not skin and needle (not yet). And remember my regular human friends…Life is too short to get bad ink. Good idea. What have I gotten myself into. Fast Designs. Rule ONE – don’t spend too much time on anything or over think it. NEVER OVER THINK ANYTHING CREATIVE. I made one quick sketch and outlined it with a fine point Sharpie. The Sharpie tip with thicker than I would have wanted and it wasn’t even the sketch I wanted but it was a start. The kids are too young and there are other assorted problems. Since I have NO attention span for anything that takes more than 10 minutes (make that 5 minutes) – I quickly scanned the drawing and took it into PhotoShop where I colored and tweeked it a bit into several different versions – a work in progress. I know how to use Illustrator but I don’t find it fun so I’m going to keep drawing by hand. I tried a few fonts. This is far from done and not well thought out but like I said, it is a start. I’m not sure I like the image, but it is growing on me. Not loving the kid faces, but I can fix that and redo it and start over. 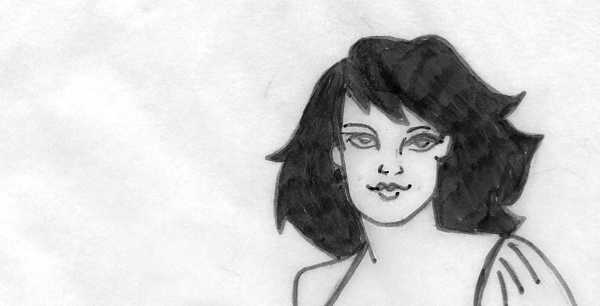 No problem starting over on something I’ve only spent 3 minutes on (on the pencil sketches, add two minutes for the PhotoShop work etc). I thought I’d better stop for now until I can get some paper with a decent finish, the right pens and do this up proper. I also should not do my drawings on the kitchen counter where water and other unidentified substances are on the counter and being soaked up by the paper. But this is how I work and how the creative process, or at least my version of the creative process makes things happen. When you are a mom, especially when you are a working mom, you have to make things happen FAST. FAST is the key or nothing will get done. OK not all of that is true – I use the kids as an excuse – it’s really my husband who eats up all my time (HA HA HA just kidding – they all do). 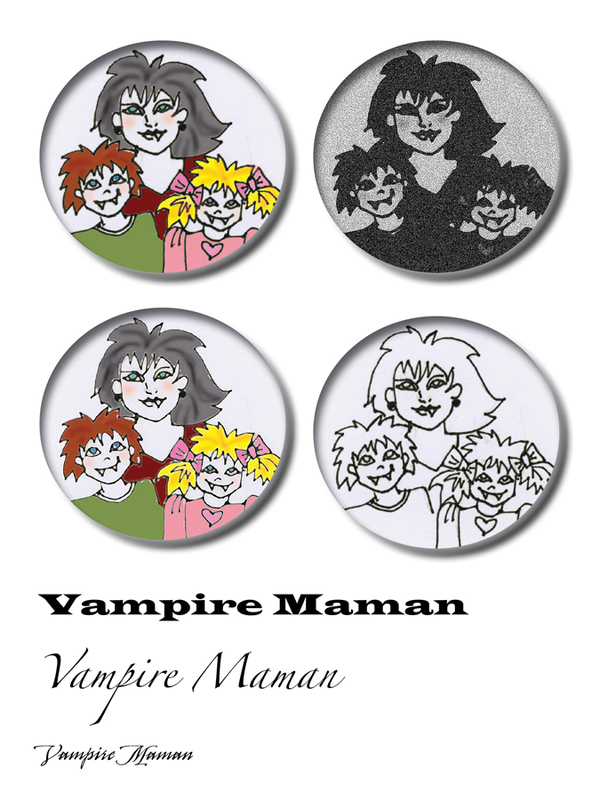 So I’ll keep you updated on my Vampire Maman logo ideas. By the way…I love to draw. More than almost anything. I just don’t spend enough time doing it. The moral of this story…find time, have fun, that’s all.